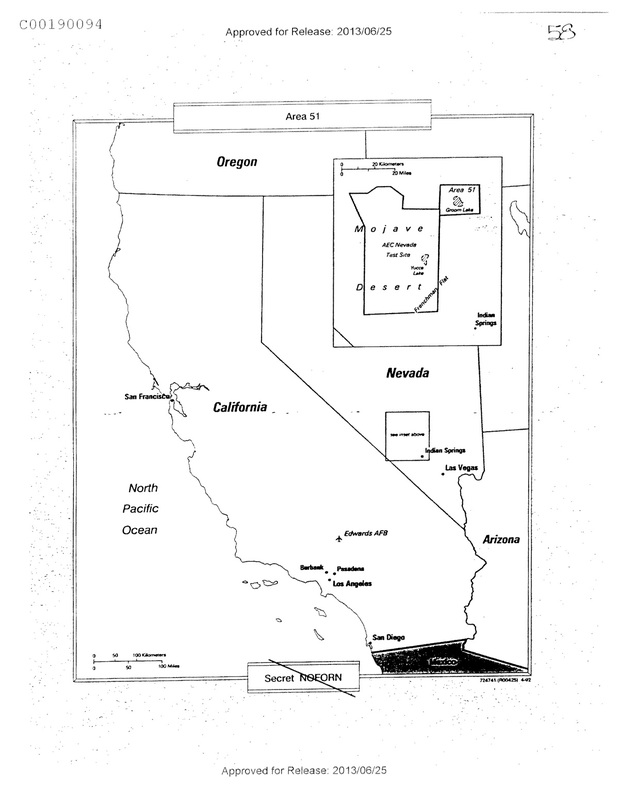 The CIA’s declassified map of Groom Lake/Area 51. The CIA has just declassified Area 51, thanks to a FOIA request submitted by Archivist Jeffrey Richelson. By responding to the Archive’s FOIA request with a less redacted version of the CIA history, ‘The Central Intelligence Agency and Overhead Reconnaissance: The U-2 and Oxcart Programs,’ the agency provides official confirmations regarding — or corrections to —the history of its aerial reconnaissance programs. Among the newly disclosed information contained in the history are numerous references to the heavily-guarded Nevada testing site –Area 51, revelations that US spy planes targeted China to help India between 1962 and 1967, and accounts that the US utilized British crews in U-2 missions to “confuse the Soviets,” and that’s just for starters. In addition to the new revelations, the CIA’s latest disclosure allows researchers to follow up with further FOIA or Mandatory Declassification Review requests regarding the agency’s aerial reconnaissance programs. To read the original posting and all of the newly disclosed material, please visit the National Security Archive. ← FRINFORMSUM 8/15/2013: Answers for Brazil, ‘No Spy’ Pacts with Germany, and a Confusing report from the National Declassification Center. Declassifies Area 51 means something bigger, more secret and sinister exists.